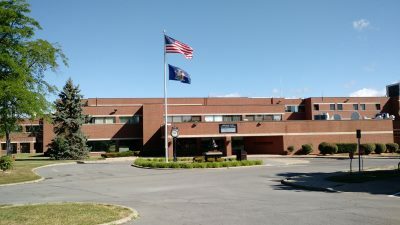 Mohawk Valley Psychiatric Center (MVPC) provides quality, individualized psychiatric treatment and rehabilitation services that promote recovery. MVPC is accredited by The Joint Commission and identified as a Joint Commission Top Performer for 2013. Pinefield Children and Youth Services at the Wright Building is located on the corner of Noyes and York Street in Utica NY. The program serves multiple counties which include, but are not limited to Oneida, Herkimer, Hamilton, Fulton, Montgomery, Warren, Schoharie, Saratoga, Washington, Greene, Schenectady, Columbia, Rensselaer and Albany. Multidisciplinary Teams, consisting of child psychiatrist, social worker, psychologist, registered nurse, recreational and occupational therapist, and others provide evidence based psychiatric care in a youth friendly and safe setting. Medical needs are addressed by the Medical NP and Medical Specialist. MVPC also employs certified teachers to provide classroom instruction for elementary, secondary and special education levels. Involvement of family is expected therefore we offer lodging at our Hospitality House for family traveling from a distance. Community agency staff are invited and encouraged to participate throughout the treatment process for continuity of care. Mohawk Valley psychiatric center's community-based programs for adults are located in Utica, Rome, and Herkimer. The population served includes adults, 18 years of age and older, with the primary diagnosis of a psychiatric disorder. Outpatient services consist of a range of programs including the York Street Clinic, the Rome Clinic, and the Herkimer Clinic. Altogether the clinics serve approximately 1100 adults. 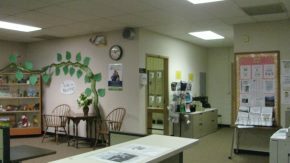 There is Peer Wellness Center adjacent to the Rome Clinic that is peer run and is available on a drop-in basis to provide peer support, education, therapeutic programming, social networking and community based activities all aimed at supporting individuals to live successful and satisfying lives in the community. Additional programs provided by Mohawk Valley include the Assertive Community Treatment (ACT) team, Care Management (ICM), and The Corner Rehabilitation and Recovery Center. 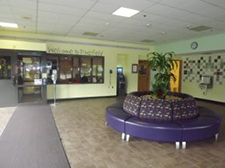 Residential services are provided in three locations; the Whitesboro and Yorkville state operated community residences, and the transitional living Center. Recovery for each individual is emphasized through a strengths-based and person centered approach. Services are designed to support the individual recovery process through psychiatric clinical services, rehabilitation, self-help/peer support services, and employment services. Integrated Primary Care and Behavioral Services, Critical Time Intervention, Dialectical Behavioral Therapy, trauma support, Wellness Self-Management and monitoring of metabolic health indicators are a few of the evidence-based practices in use.